Unless otherwise stated for particular content and/or functionality, our site is available free of charge. Accounts for guests, which enables visitors of our sites to access all the functionalities available from time to time (“Guests”). If you know or suspect that anyone other than you knows your log in details, please use the website to reset your password. 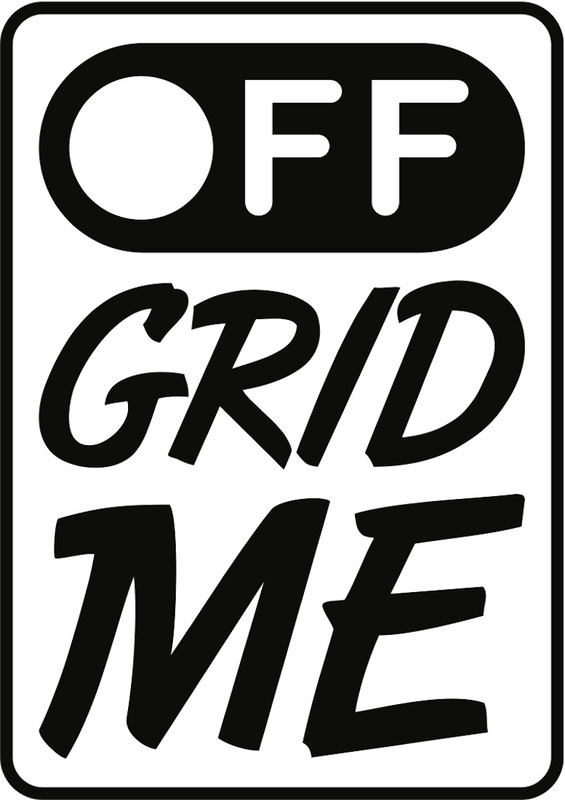 If you have any problems, please notify us at : info@offgridme.life and provide any relevant details. The content on our site is provided for general information only. It is not intended to amount to advice on which you should rely. Although we make reasonable efforts to update the information on our site, we make no representations, warranties or guarantees that the content on our site is accurate, complete or up-to-date. In particular, we are not responsible for any information provided by Owners, whether on this site, via another medium, or in communications with you. We cannot be held liable for any dealings between Guests, Owners, and/or other users or third parties. Our site may enable you to upload, submit to us text, images, photographs, weblinks, (Content). Whenever you make use of a feature that allows you to upload or submit content you must comply with our acceptable use & content standards . Any Content you upload to our site will be considered non-confidential and non-proprietary. You retain all of your ownership rights in your Content, but you are required to grant us a non- exclusive, royalty-free, irrevocable, perpetual, worldwide licence (including the right to sub- licence) to use, store, copy, modify and adapt that Content. You warrant and represent that we also have the right to disclose your identity to any third party who you ask us to contact on your behalf or who is claiming that any Content posted or uploaded by you constitutes a violation of their intellectual property rights, or of their right to privacy. We have the right to remove any posting you make on our site for any reason whatsoever including if, in our opinion, your post does not comply with the acceptable use and content standards. The views expressed by other users on our site do not represent our views or values. We will determine, in our discretion, whether there has been a breach of our acceptable use and content standard through your use of our site. When a breach has occurred, we may take such action as we deem appropriate. We may also provide information about third party products and services, as well as the opportunity to purchase such products and services. In the event that you choose to do so, you will be taken to the relevant third party’s website in order to complete your purchase. The third party provider will have its own terms and conditions which you should read prior to using their site, or purchasing any products or services. We assume no responsibility for the content of websites linked to on our site. Such links should not be interpreted as an endorsement by us of those linked websites. We will not be liable for any loss or damage that may arise from your use of them. An impact dedicated SARL serving the private sector. A social purpose association called Off Grid Me serving the public/not-for-profit sector. Needs.services SARL (“We” ) are committed to protecting your personal information and other data, which is collected by us or provided to us via your use of our website www.offgridme.life (“our Website”). Our products and services are only available to those aged 18 and over. The information you give us may include your name, address, e-mail address, phone number, financial and credit card information, personal description, holiday and other preferences. If you are a journalist or a member of the media that we work with, we may also hold information relating to your job title, social media handles and, in some limited cases, copies of your passport or other identification documents where we arrange travel on your behalf for a particular event. for internal record-keeping, reporting, service review. We may also contact you for marketing purposes. This is where we will provide you with information about goods or services we feel may interest you. If you are an existing customer, we will only contact you by electronic means (e-mail) with information about goods and services similar to those which were the subject of a previous sale or negotiations of a sale to you. If you are not a customer of ours we will contact you by electronic means only if you have consented to this (e.g. where you have signed up to our newsletter). The data that we collect from you is stored in Switzerland.